c'est la vie: Commencement address by J.K.Rowling at Harvard University. 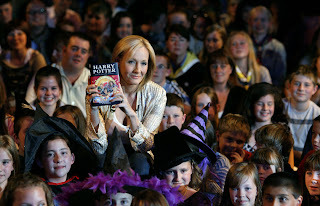 Commencement address by J.K.Rowling at Harvard University. I came across this beautiful piece, a commencement address by J.K.Rowling at Harvard University. Found it good, so putting it up.,. Thanks To Kishore Sir, who had forwarded this to me. The first thing I would like to say is 'thank you.' Not only has Harvard given me an extraordinary honour, but the weeks of fear and nausea I've experienced at the thought of giving this commencement address have made me lose weight. A win-win situation! Now all I have to do is take deep breaths, squint at the red banners and fool myself into believing I am at the world's best-educated Harry Potter convention. Delivering a commencement address is a great responsibility; or so I thought until I cast my mind back to my own graduation. The commencement speaker that day was the distinguished British philosopher Baroness Mary Warnock. Reflecting on her speech has helped me enormously in writing this one, because it turns out that I can't remember a single word she said. This liberating discovery enables me to proceed without any fear that I might inadvertently influence you to abandon promising careers in business, law or politics for the giddy delights of becoming a gay wizard. You see? If all you remember in years to come is the 'gay wizard' joke, I've still come out ahead of Baroness Mary Warnock. Achievable goals: the first step towards personal improvement. They had hoped that I would take a vocational degree; I wanted to study English Literature. A compromise was reached that in retrospect satisfied nobody, and I went up to study Modern Languages. Hardly had my parents' car rounded the corner at the end of the road than I ditched German and scuttled off down the Classics corridor. 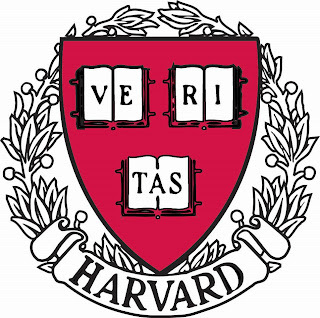 However, the fact that you are graduating from Harvard suggests that you are not very well-acquainted with failure. You might be driven by a fear of failure quite as much as a desire for success. Indeed, your conception of failure might not be too far from the average person's idea of success, so high have you already flown academically. and for a long time, any light at the end of it was a hope rather than a reality. sent to Amnesty by their desperate families and friends. I read the testimony of torture victims and saw pictures of their injuries. I opened handwritten, eye-witness accounts of summary trials and executions, of kidnappings and rapes. was a foot taller than I was, and seemed as fragile as a child. I was given the job of escorting him to the Underground Station afterwards, and this man whose life had been shattered by cruelty took my hand with exquisite courtesy, and wished me future happiness. Amnesty mobilises thousands of people who have never been tortured or imprisoned for their beliefs to act on behalf of those who have. The power of human empathy, leading to collective action, saves lives, and frees prisoners. Ordinary people, whose personal well- being and security are assured, join together in huge numbers to save people they do not know, and will never meet. My small participation in that process was one of the most humbling and inspiring experiences of my life. Unlike any other creature on this planet, humans can learn and understand, without having experienced. They can think themselves into other people's minds, imagine themselves into other people's places. I know that korean companies samsung,hyundai,sk CEOs are issuing(or issued) stocks or bonds illegally. Korean government and prosecutors are also guilty. Shareholders in any country are victims. I ask for asking for criminal investigation to prosecutors in any country. Three companies are hacking me and trying to kill me. And are suspicious to do illegally use my name or email. If you receive another message that the things I dictated above are not true, it is not from me but from three companies. The Things I dictated above are true. Although I am extremely cautious myself, that's exactly what I think. Very nice text.